Inside The Flower Posterized is a photograph by Linda Brody which was uploaded on July 25th, 2016. 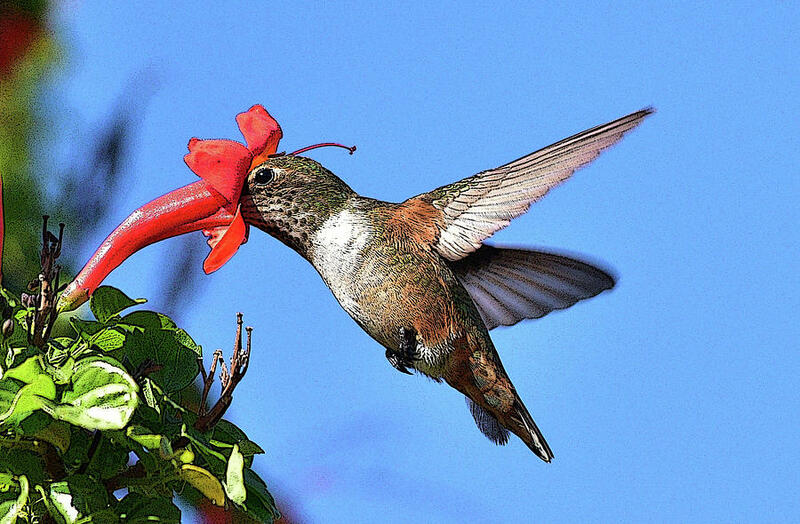 Hummingbird Deep Inside the Flower. With poster or outline finish. This hardy little bird is a permanent resident along our Pacific Coast, staying through the winter in many areas where no other hummingbirds are present. 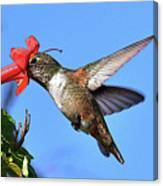 More vocal than most hummingbirds, males have a buzzy song, often given while perched. 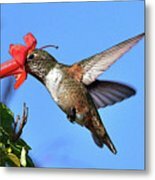 In recent decades the species has expanded its range, probably helped along by flowers and feeders in suburban gardens; it now nests north to British Columbia and east to Arizona. 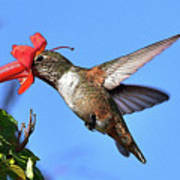 At flowers, usually feeds while hovering, extending its bill and long tongue deep into the center of the flower. At feeders, may either hover or perch. To catch small insects, may fly out and take them in midair, or hover to pluck them from foliage. Some of my artwork appears on products sold at Zazzle. Check out the following websites for that: Check out: http://www.zazzle.com/linda116. If you like my art, please take a moment to "like" and/or comment. I would be most appreciative if you would share on Facebook, Google+, Pinterest, etc. This will help promote my art online and enable it to be found by others on internet searches. Thank you so much. Congratulations Linda, your work is Featured in "A Birding Group - Wings"!